Some conservatives mistake Islam, the religion, with Islamism, a political ideology (of several variants); conversely, some liberals mistake criticism of Islamism with criticism of Islam. Worse, both sides sometimes arrogate to themselves the right to define Islam – either as a religion of war or as a religion of peace. But every religion can be defined only by its adherents, and those adherents themselves may define the same religion differently. Indeed, Michael Doran famously analyzed the events of 9/11 as the product of “somebody else’s civil war,” by which he meant the war among Muslims to define Islam. 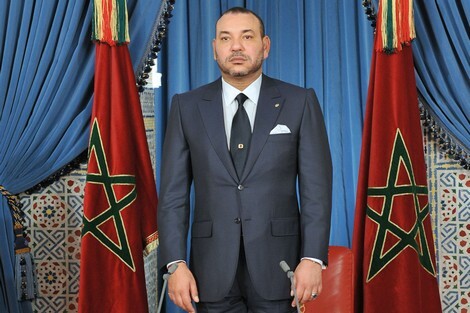 If Osama bin Laden represented one end of that spectrum, then the King of Morocco, Mohammed VI, represents the other. As President Obama prepares to receive the King this Friday, it behooves all Americans to take the measure of this King and his vision of Islam, explore why that vision matters, and what it means for the United States. 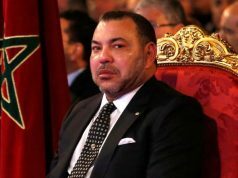 The King’s family has ruled Morocco for nearly 400 years, King Mohammed VI since 1999, and he traces his lineage back to the prophet Mohammed, from which is derived the King’s role as Amir al Mu’minin, or Commander of the Faithful, the religious and political head of the country. This makes him an authoritative interpreter of Islam to Muslims in Morocco, as well as in West and North Africa where Morocco’s brand of Islam predominates, and in other parts of the Muslim world — though not to jihadis who have declared Morocco an apostate state. The King in turn has described the doctrines of radical Islam as alien to Islam. If a non-Muslim – even a president of the United States, or especially a president of the United States — declares radical Islam to be alien to Islam, it is, let’s face it, relatively insignificant, particularly to Muslims; but if the Commander of the Faithful declares radical Islam as alien, then that is something entirely different and far more meaningful. Moreover, Islam in Morocco is rooted in Sufism, a branch or tradition of Islam known for its emphasis on spirituality and tolerance and its rejection of fanaticism. Notably, it is popular with Moroccan youth, who make up the majority of the population. In the battle for hearts and minds, particularly of the next generation, Americans would be hard put to find a more effective – or more willing — ally than the King of Morocco. Indeed, as detailed in a new report by the CNA Institute for Public Research, Morocco is an invaluable US partner in countering violent extremism, which is reflected in the inauguration last year of the U.S.-Moroccan Strategic Dialogue. As Al Qaeda and its affiliates set their sights on Africa, the significance of this partnership becomes ever greater. Not surprisingly, in the 2013/14 edition of The Muslim 500:The World’s Most Influential Muslims, put out by the Royal Islamic Strategic Studies Centre in Jordan, the King ranks fifth. Iran’s Ayatollah Khamenei, however, ranks third. There you have it again: two opposing visions of Islam. Is there any question with whom we as Americans would prefer to associate? Having experienced its own version of 9/11 when the country was rocked by a series of suicide bombings in 2003, Morocco has learned how to deploy “soft power” to curb the spread of jihadism. Its satellite channel Al-Sadisa, available to viewers region-wide, offers an alternative view of Islam from that presented on stations dominated by militants. Its educational programming for the country’s 50,000 imams as well as imams in places like Mali fosters moderation as well. Indeed, Morocco sends preachers to Europe to encourage Moroccans there to practice Islam as it is practiced in Morocco. The appointment of women as murshidat, or religious guides, is yet another effort in this vein. Also, in response to the widespread upheaval in the Middle East beginning in 2011, the King acted quickly to enact political and economic reforms that put the country on the road to gradual liberalization and to addressing the urgent needs of the poor. 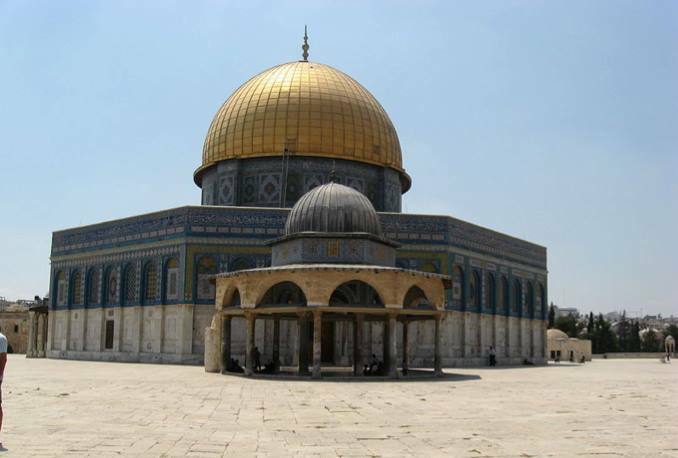 The King’s vision of Islam embraces cultural, religious, and ethnic diversity. Can there be a better litmus test of toleration in the Arab world than how a country treats its Jews and Christians? 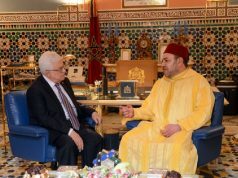 In Morocco, the law provides for equal rights for its tiny Jewish population, the country’s Jewish heritage is taught in schools, and the King personally criticizes Holocaust denial while calling on his countrymen to commemorate the Holocaust – not to mention the country’s historic role as a backchannel in the Arab-Israeli dispute and the King’s public advocacy of the two-state solution. Morocco is the only Arab country in which a Jewish commentator in Arabic is heard on national radio – as described by the program’s host, Joseph Braude, in a recent article in Tablet magazine. The rights of Christians are also protected by law, though proselytizing is prohibited. Here in Philadelphia specifically and in the United States broadly we are the inheritors of the great legacy of William Penn, the founder of the Pennsylvania colony, who espoused the cause of religious liberty. This turned out to be the cornerstone of American liberty. 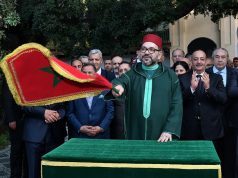 If Morocco’s King Mohammed VI can in a similar vein foster religious toleration, he will make a heroic contribution not only to the history of Morocco and to the Arab world broadly but to the world at large. One might think of the outsized role of the tiny country of Latvia in promoting democratic reform in the former Soviet Union. Being small, it threatens no one, and having navigated successfully the process of democratic transition after the breakup of the Soviet Union of which it too was a part, Latvia today plays a significant role in assisting democratic transition elsewhere. 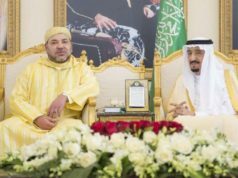 Morocco, a country of 32 million people, is not small but neither has it been at the center of the Arab world; yet by virtue of the King’s unique religious role, Morocco can similarly play an outsized role in the effort to contain the spread of jihadism. Alan Luxenberg is President of the Foreign Policy Research Institute in Philadelphia. Michael Doran, “Somebody Else’s Civil War,” Foreign Affairs, January-February, 2002. Mokhtar Ghambou, “Sufism as Youth Culture in Morocco,” Washington Post, March 3, 2009. Eric V. Thompson and Will McCants, Partners Against Terror: Opportunities and Challenges for U.S.-Moroccan Counterterrorism Cooperation (CNA, November 18, 2013). “Morocco sends preachers to Europe for Ramadan,” Al Arabiya News, November 2, 2010. Joseph Braude, “A Jew Broadcasts to Morocco, Building a Relationship with a Muslim Audience,” Tablet, November 14, 2013. Braude’s weekly radio commentary airs on MED Radio, a Moroccan station founded by FPRI Trustee Ahmed Charai.